The Leopards vision at night is 7 times that of a human and hearing is 5 times better than that of a human. At birth the cubs eyes are shut and remain so for upto 2 weeks. How to tell Leopards Apart, each individual Leopard has spots on it's face and the spots and its relative position are unique. They are also different on each side. The spots identifiable by the patterns. The spots on either side of the nose and muzzle serve as a very reliable way in which to identify individuals. Leopards can survive without water for long periods. In the Kalahari for instance Leopards will eat succulent fruit like tsamas to increase their moisture content. The most extraordinary prey caught on camera by a Leopard was a Crocodile in the Kruger National Park. The crocodile was suffocated and then dragged off. These unbelievable animals are relatively easily recognizable, if you can spot one first of course! They are a large cat with numerous black and brown rosettes on the back and on the underside and limbs. The pattern on each animal is much like a fingerprint on a human; every leopard has their own distinct set of markings. These markings make for very effective camouflage and also why these animals are so hard to spot. Leopards have small rounded ears, from behind they have black markings which act as a follow me sign for cubs along with the leopards tail, the tail is long and has a white tip which also stands out from behind. The tail of a leopards is also a good “mood ring” as it indicates the mood of the leopard and is also used a means of non- verbal communication. Leopard have excellent senses, they have long whiskers called vibrissae that acts as sensory organs that can let a leopards know whether or not they can fit through a particular space, this is essential for moving about in the dark. 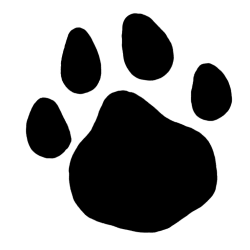 Often the most common indications of leopard are their tracks that are left behind, clawed scrape mark on trees, feces and rasping noises around dusk and dawn. Leopard of both sexes will communicate within their territories through an exchange of information. This is achieved by demarcating their territory boundaries with very strong smelling urine, although only the male is known to spray territories. The urine carries many messages such as who has what boundary, the hormonal level in females and approximately when last the individual that left the marking was in the area. Leopard will also rub their faces on low hanging branches and along roads or pathways. Leopards have scent glands on their cheeks which leave behind olfactory messages. 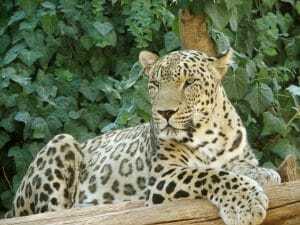 Leopard feed on mainly small to medium mammals between 8-17 kg in weight. Although leopard have been known to be very picky eaters, plucking feathers and plumage from birds before they eat them, leopard will consume any foods available to them in the area. Leopards are also mainly nocturnal hunters but are extremely opportunistic and will not pass up a hunting opportunity even during the day. They hunt by stalking and rely heavily on their ability to stay hidden for as long as possible to successfully hunt. Leopards are solitary animals, the males often referred to as “tom” cats. 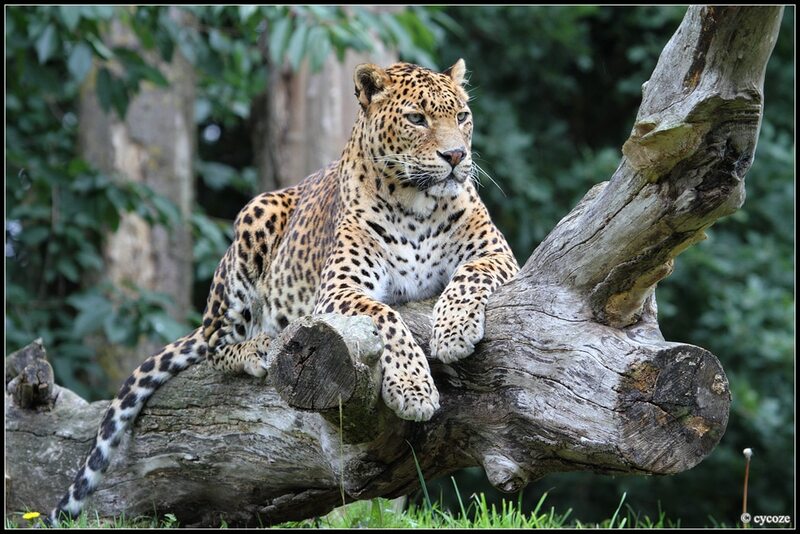 Both male and female leopard will defend their territory – females tend to base territories on which food types are available and males more on the availability of females around. Don’t be fooled though – female leopard are extraordinarily good at flirting once they get together with males to mate. The sizzling affair will last between 2-5 days with copulation occurring every 5-10 minutes. The female’s gestation period is around 90-112 days and they usually delivery 2-6 cubs. Cubs are usually born in dens, often in dense thickets, caves or burrows. Cubs will be hidden for at least 6 weeks, their eyes opening at 1 week of age. Cubs will suckle on their mothers for 3 months and will reach maturity at two years of age. Leopards experience a high cub mortality rate and will lose 50% or more off their offspring. Despite female leopards hiding cubs away they are often found by carnivores and killed. Almost all mammal predators will kill each other cubs off instinctively as a way to reduce competition. Leopards have disappeared from many regions and as a result many projects are underway to monitor these incredibly beautiful animals. Surveying is done through remote camera traps and one of the largest Leopard populations survey, takes place on the Eastern shores of the Isimangaliso wetlands park. This comes to no surprise as leopard is commonly seen in this coastal park on self and guided game drives. These elusive animals are even seen in the town of St Lucia South Africa. Leopard are among-st my top animals to see in the wild and I can only hope that anyone that visits this beautiful little town can experience the thrill and sheer beauty of these elusive animals.